Élisabeth Sophie Chéron, "An Ornament to France for All Time"
Born in Paris on 3 October 1648, Élisabeth Sophie Chéron was the daughter of Henri Chéron, a French miniature painter, enameller, and engraver. She was trained in the art of painting in enamel by her father and proved a very successful pupil--by the age of fourteen, she had already "acquired a name." She had also experienced conflict in her family--her Huguenot father was a strict Calvinist, and she had been raised in the reformed faith, but her mother, Marie Lefebvre, was Catholic. Despite her father's preferred religion, the young Élisabeth Sophie spent at least a year in the Benedictine convent of the Abbey of Notre-Dame de Jouarre. It was in the convent that she began her work, painting portraits of some of her aristocratic classmates and of the abbess, Henriette Lourraine. In his discussion of Élisabeth Sophie, Norman Shapiro notes that, by the time she was sixteen, she had to "help support a family that was all but abandoned by her father." Her training as a painter allowed her to do that, and she garnered further support by painting portraits of a number of the French nobility. Meanwhile, on 25 March 1668, Élisabeth Sophie confirmed a religious break with her father, abjured her reformed faith, and converted to Catholicism at the Paris Church of St. Sulpice. In 1672, she was admitted to the Académie Royale de Peinture et de Sculpture, sponsored by the French painter Charles Le Brun. * Between 1673 and 1690 she exhibited her work frequently. She earned enough money that she could afford to send her brother, Louis, also a painter, to study art--for eighteen years. In 1700, she was provided with an annual pension of 400 livres by the French king, Louis XIV. Although known for her portraits, particularly those produced with royal patronage, Chéron also produced paintings with classical themes, religious subjects, and landscapes. 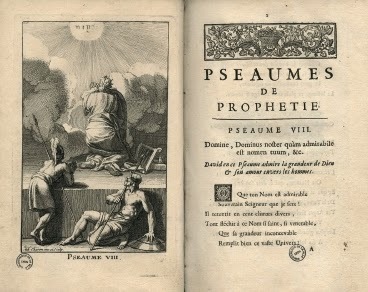 Élisabeth Sophie's religious training also introduced her to Hebrew, Greek, and Latin, which allowed her to publish Essay de pseaumes et cantiques mis en vers, et enrichis de figures (Psalms and Hymns Put into Verse, Enriched with Figures) in 1694, in which she paraphrased the biblical Psalms. The volume was illustrated with engravings done by her brother, Louis. 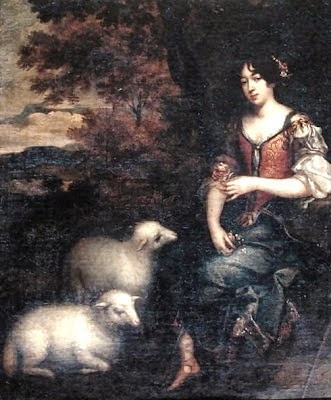 Chéron's psalms were set to music in 1699, the same year that she was elected to the Accademia del Ricovrati in Padua, where she was praised as "the Sappho of her time." Among other work, she also published a book on the principles of design, Livre des Principes à Dessiner, in 1706, and another translation, this one of the song in the book of Habbakuk (published posthumously). While she refused many suitors, she married Jacques Le Hay, an engineer for King Louis XIV, in 1692. She died on 3 September 1711, and was buried in the Church of St. Sulpice, where she had celebrated her conversion. Above her tomb are a portrait and poem, which praises her for her "two exquisite talents, assembled anew" and describes her as the "ornament of France": "Nothing less excellent comes from her pen than from the grace of her brush." In 1717, one more poem of Chéron's, this one a humorous narrative, was published, Les Cerises Renversées (Spilled Cherries). The best account of Chéron's poetry is in Norman Shapiro's French Women Poets of Nine Centuries, which I've referred to, above. Shapiro also includes several English translations of Chéron's psalms. 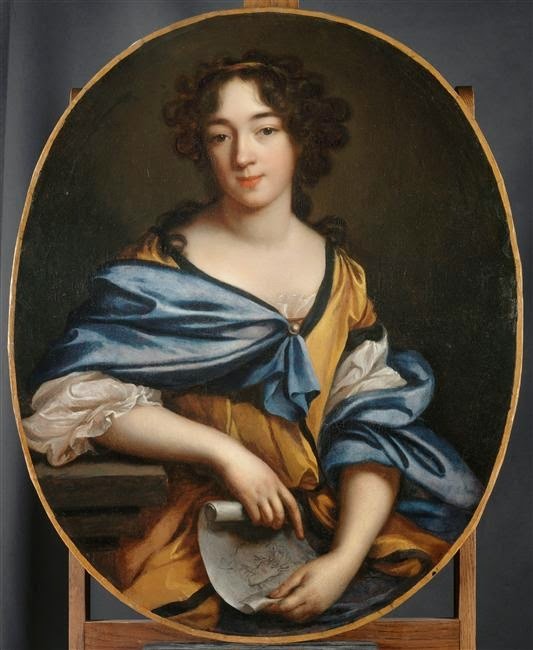 Although there is not much information available about her, Élisabeth Sophie Chéron's sister, Marie Anne (1649?-1718), who married Alexis Simon Belle, was also a miniature painter. *There is a great deal of conflict about the date of Chéron's admission--Shapiro indicates 1672, a date confirmed in other sources, including the authoritative entry by Véronique Meyer at the SIEFAR (Société Internationale pour l'Etude des Femmes de l'Ancien Régime) website, which documents Le Brun's nomination of her on 11 June 1672 and her election the following September. While the nineteenth-century General Biographical Dictionary (quoted above) is a fund of detail, it gives the date of Chéron's election as 1676; Clara Erskine Clement, in her monumental Women in the Fine Arts from the Seventh Century B.C. to the Twentieth Century A.D. (1904) says her nomination occurred in 1674. There is similar "confusion" (or disagreement) about her marriage--with some sources indicating that she didn't marry until age sixty.